Visual studio online provides git hosting for free. Same here. Even for stuff that I don't push to a remote, I often think version control is invaluable. Just deleted a branch (GIT) and brought my program back this way. There are more options available software wise, as well as source control. I agree with Mr. Valentine. I use Subversion on my own server. However, if you do not have a server, you can use Mercurial to store your versioned files on a portable hard drive. Thanks SNaidamast. I will check that site. PSA: i lost a bunch of work to this, referenced some files in a new monogame project from an outside directory and lost a ton of work from the other project that was not source controlled. after many tears i am here now to let you all know that this is still fairly easily to do by accident. 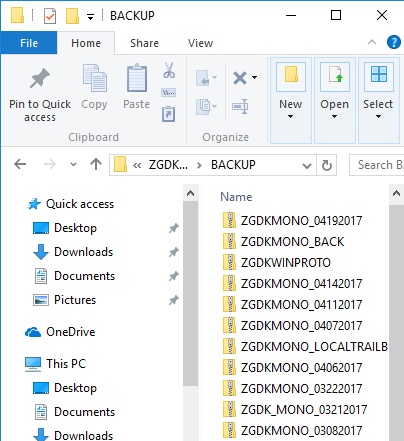 it shouldnt "delete" the files just put them to the recycle bin. I even tried to use a data recovery software to scrub the page files and was only able to recover a single file that wasnt of much use. My new project IS source controlled so i dont need the lecture.